By selecting a link from this page, you will be leaving the web page of the New Mexico Judicial Standards Commission. The links below contain information created and maintained by other public and private organizations and are governed by individual privacy policies regarding collection of personal data. These links are provided for your convenience. The New Mexico Judicial Standards Commission does not control or guarantee the accuracy, relevance, timeliness, or completeness of this outside information. Further, the inclusion of links to particular items is not intended to reflect their importance, nor is it intended to endorse any views expressed–or products or services offered–on these outside sites, or the organizations sponsoring the sites. The JEC has a link on its website that includes a compilation of all advisory opinions issued by the A dvisory Committee on the Code of Judicial Conduct since the adoption of the 1995 Code by the New Mexico Supreme Court. The Bernalillo County Metropolitan Court website provides information about court services and procedures. Bernalillo County Metropolitan Court case data is available on this website. The Office of Disciplinary Counsel is the investigative body for the Disciplinary Board. The Office of Disciplinary Counsel looks into complaints about attorneys licensed to practice law in New Mexico to determine whether the attorneys have violated the Rules of Professional Conduct. The Rules of Professional Conduct are part of the New Mexico Statutes. A commission created by the New Mexico Supreme Court that works to improve the performance of New Mexico’s judges and to provide useful, credible information to New Mexico voters on all judges standing for retention during elections. This site provides information about the New Mexico court system, including web site links to the Supreme Court, Court of Appeals, District, Magistrate and Probate Courts (where available). This web application gives access to New Mexico District Court, Magistrate Court and Municipal Court data. Municipal court data is limited to criminal Domestic Violence and DWI historic convictions from September 1, 1991 onwards. 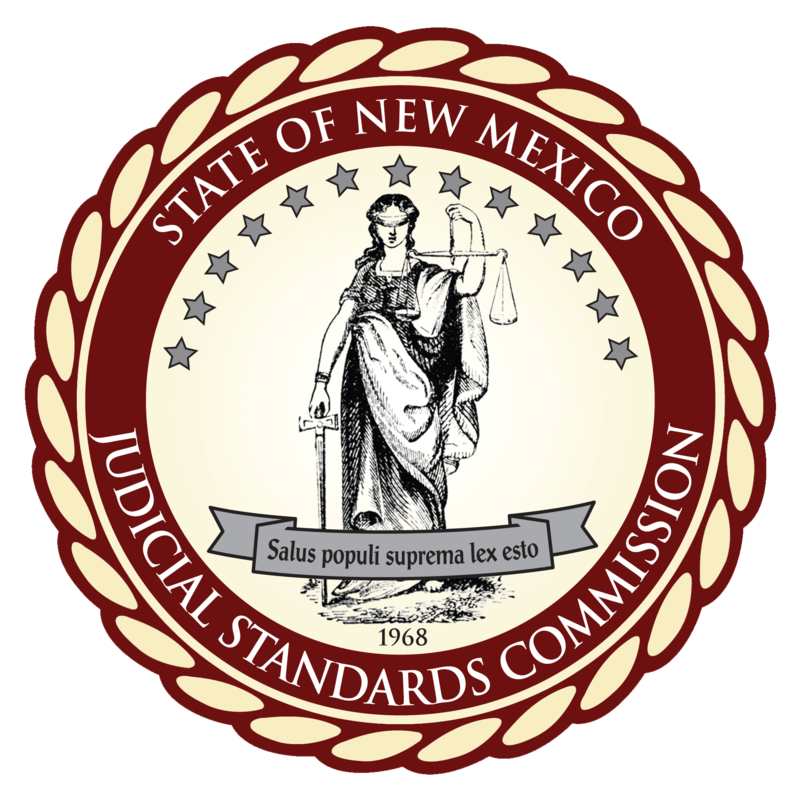 The JEC was established under a federal grant in 1991 to provide education and training to the judges, administrators and other staff of the New Mexico judicial branch. In 1993, the New Mexico Legislature formally established JEC within the Institute of Public Law at the UNM School of Law, and provided state funding for its operation. The JEC has resources on its Web site that are accessible to the public over the Internet. The New Mexico Supreme Court is the State’s highest court and final court of review (court of last resort). In addition to reviewing decisions of lower courts, the Supreme Court, as the head of the Judicial Branch of Government, has general administrative and supervisory authority over all State courts and attorney regulation. The Court has authority to discipline attorneys and judges for professional misconduct and unethical behavior. This site provides information regarding State Bar activities and services, and general law-related topics. The State Bar promotes the interests of the legal profession and works to improve the relationships between the profession and the public. This is the official web site of the State of New Mexico, which provides information concerning the three branches of government, as well as state departments, agencies, and programs. The State of New Mexico Workers Compensation Administration is the state agency responsible for workers’ compensation in New Mexico. The Commission has no jurisdiction over Workers Compensation Administration Judges. The New Mexico Supreme Court library has a number of resources on-line available to the public, including statutes, rules, case law, law review articles, and links to other helpful websites. The New Mexico Compilation Commission is responsible for publishing the official, annotated compilation of the New Mexico statutes, including court rules governing practice and procedure in the state courts. It is the designated publisher of the New Mexico courts. The United States Court of Appeals for the Tenth Circuit reviews appeals from the federal district courts in the six states of Oklahoma, Kansas, New Mexico, Colorado, Wyoming, and Utah, plus those portions of the Yellowstone National Park extending into Montana and Idaho and appeals brought to them by residents of the circuit from various administrative tribunals, including the Tax Court and agencies of the federal government. Information is available for filing complaints of judicial misconduct concerning both district and appellate federal judges in the Tenth Circuit. This is the official web site of the United States District Court for the District of New Mexico. It provides general information about the court and its services. This is the official website of the U.S. Social Security Administration. The Commission has no jurisdiction over Social Security Administration Judges.